On August 23, 2017, the security forces of Galmudug, a regional state in Somalia, arrested a man in his 60s who seemed suspicious. Fearing he was an al-Shabaab fighter, regional security agents interrogated him. It turned out he was Colonel Abdikarim Muse, a prominent figure in the Ogaden National Liberation Front (ONLF)—a group seeking independence for the Somali-inhabited region of Ethiopia—and he was visiting a sick relative. 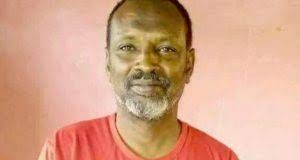 A few days later, Colonel Muse was flown to Mogadishu, where he had lived since 2014, but this time he was in handcuffs. On August 28, he was whisked out of Somalia and formally handed over to Ethiopia. The news of his arrest and extradition to Ethiopia created a political firestorm in Somalia and the diaspora. Protests poured in regarding the Somali government’s action, and demonstrations broke out in certain parts of the country. Moreover, the news went viral on social media. The nascent, seven months old Somali government under Mohamed Farmajo found itself in a political quagmire that exposed serious fissures in government circles, as well as poor crisis management, a dichotomy between Farmajo’s populism and political realities, and the emergence of a detached president retreating from crucial decision making. The head of the Somali Intelligence Agency (NISA), Abdullahi Sanbalooshe, emerged as the central figure in handing over the ONLF official. His agents took over Muse’s case after the colonel was brought to Mogadishu. Later, at a press conference, Prime Minister Hassan Kheyre was asked about Muse’s delivery to Addis Ababa. The head of NISA interjected and said the matter was so “sensitive” it would only be addressed in due time. The premier was visibly annoyed by the interruption, but he chose not to say anything about the matter. It would take two weeks before the government issued a statement about the case. The security services in the country are still run by officials appointed by the administration of former President Hassan Mohamoud, who was later defeated by the current president. The current director of NISA, a former protégé of President Mohamoud, was also the Minister of Security for the previous administration. The security services have a long and close relationship with Ethiopia and some Western countries. In fact, several Somali security branches have been trained and funded by countries such as the United States, the United Arab Emirates, and Qatar. Occasionally, some of these branches have fought against each other in the streets of Mogadishu. The Somali government gave conflicting accounts of Muse’s extradition to Ethiopia. At first, some officials leaked suggestions that Colonel Muse had willingly agreed to be taken to Ethiopia because he had negotiated with Addis Ababa, and the Somali government had merely facilitated his transfer. A representative of the ONLF denied this suggestion and accused President Farmajo and PM Kheyre of complicity in handing over a Somali man to Ethiopia. Then, Ethiopia’s Information Minister declared that the Somali government had handed Muse over to Addis Ababa because he belonged to what he termed a terrorist group. The Somali government neither confirmed nor denied this allegation. Later on September 6, the Somali Council of Ministers had a meeting in which Muse’s case was retroactively discussed after he was already in the hands of Ethiopia. Only one minister—fittingly, the Minister of Humanitarian and Disaster Management —opposed the transfer of Muse to Addis Ababa whereas two other ministers (interior and transportation) abstained. Later, the Council held a press conference and acknowledged Muse’s transfer to Ethiopia as “a legal step taken to remove a security threat,” according to the Information Minister. Then came a bombshell: the minister accused Colonel Muse of having a close relationship with al-Shabaab. To bolster the government’s case, the minister said both Addis Ababa and Mogadishu signed an agreement in 2015 in which the ONLF and al-Shabaab were designated as terrorist entities. It was the first time in Somali history a Somali government official had called the ONLF a terrorist group. The government’s position on Colonel Muse drew howls of outrage among some legislators and civil society leaders. First, the two former Somali government officials who signed the reported agreements with Ethiopia denied that the documents they had signed mentioned the ONLF. In an interview with the VOA Somali Service, former Security Minister Abdikarim Hussein Guled and Mahad Salad, a former State Minister for the Office of the Presidency, said the agreements they had signed respectively, were between Ethiopia and a Somali regional state (Galmudug). “The agreement cannot be used as a justification for handing over Muse over to Ethiopia,” said Guled, “because it had nothing to do with the ONLF or the exchange of criminals or prisoners.” Furthermore, these agreements were never ratified by the Somali parliament. President Farmajo has yet to address the Muse incident. There are conflicting reports that his prime minister and the head of the intelligence service misinformed him, or that he was totally in the dark over the negotiations. Others say that the president delegates too much responsibility to others, and thus, was not party to the decision concerning Muse. Critics say Farmajo lives a cloistered existence in Villa Somalia, the seat of government. The prime minister and the head of intelligence took the lead in managing the affairs. 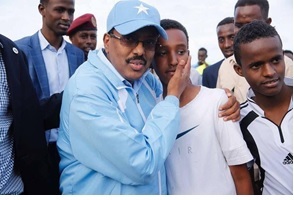 Since the political storm started brewing, Farmajo has simply vanished from the public scene, except for a brief appearance at Lido Beach, Mogadishu, where he played soccer with some youngsters and drank tea with them. He spoke to the youth about other issues and deliberately evaded any discussion of Muse. Although it is difficult to gauge the extent of opposition to Farmajo’s handling of the incident, there have also been scattered voices that have defended him and applauded him for handing Muse over to Ethiopia. These supporters have equated any criticism of Farmajo to what they derisively call “Qaran-dumis” (Nation-Destroying). However, some members of parliament have vowed to hold hearings about the matter. Contrary to what the Somali Information Minister said, al-Shabaab has denied having any relationship with Colonel Muse. An Ethiopian official has praised the head of the Somali National Intelligence Agency for handing Muse over to Addis Ababa, but refrained from doing the same for President Farmajo and PM Kheyre. The government’s strategy of keeping silent for two weeks after the incident and then later denouncing Muse as a terrorist did not go well with the public, and dented Farmajo’s reputation as a nationalist. There have been calls for the president to come clean regarding the matter, and to admit that egregious mistakes were made. Others have called for PM Kheyre and the head of the intelligence services to be fired. It is not clear what Farmajo will do, but members of the Somali parliament have vowed to investigate the matter further, which makes it seem as if the incident will continue to spiral out of control. Farmajo may survive this storm as president, but his administration is incrementally losing the public’s vote of confidence. Either way, a political scandal may loom larger than expected. Mr. Abukar is a political analyst and a contributor to Wardheernews. He is the author of Mogadishu Memoir and can be reached at [email protected].